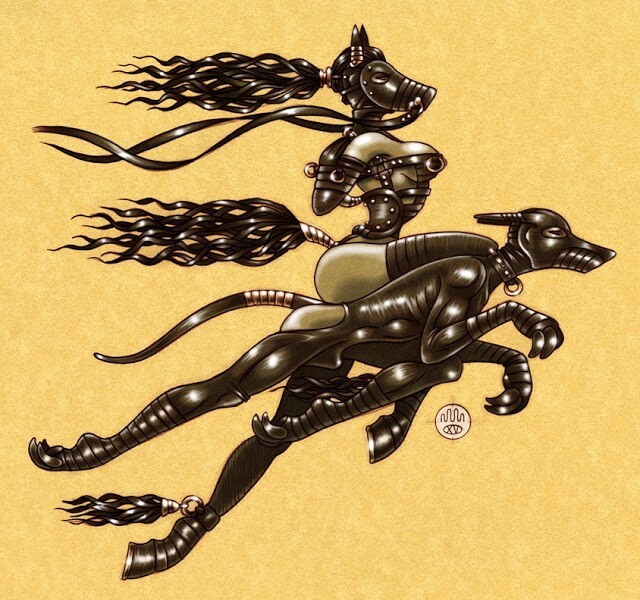 Antebellum Gallery in Hollywood CA presents The DOG & PONY SHOW a group of artists creating artworks depicting pup & pony play fetish – with a few kitties thrown in! Petplay is one of our favourite fetishes at LateXtra and a chance to see these great artists in one space (including our editor!) is one not to be missed….